Every once in awhile, I want chocolate! Actually, to be perfectly honest, I could have a bite of chocolate everyday. I usually buy an expensive vegan bar and break off a tiny square whenever the craving got too strong to resist and then I’d hide the bar. 🙂 That bar could seriously last 2 weeks, sometimes it could last a month, if I had amazing will power. IF, I left it out in the open, surely one of my kiddos (Cayden) would have eaten it all in one sitting. 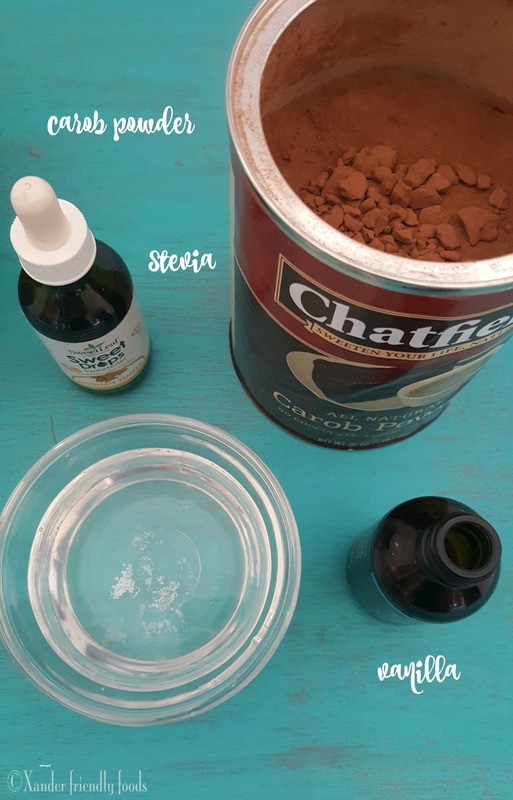 Of course, I’m not encouraging you all to hide your candy, but instead, I’m going to show you how to make your own chocolate coins using only 4 ingredients and the healthy add-ins of your choice. Once you get this, you won’t feel the least bit guilty about eating chocolate or letting your kids have a bite. If you are using carob powder, you’re chocolate is going to be a little bitter, like dark chocolate, which I love. 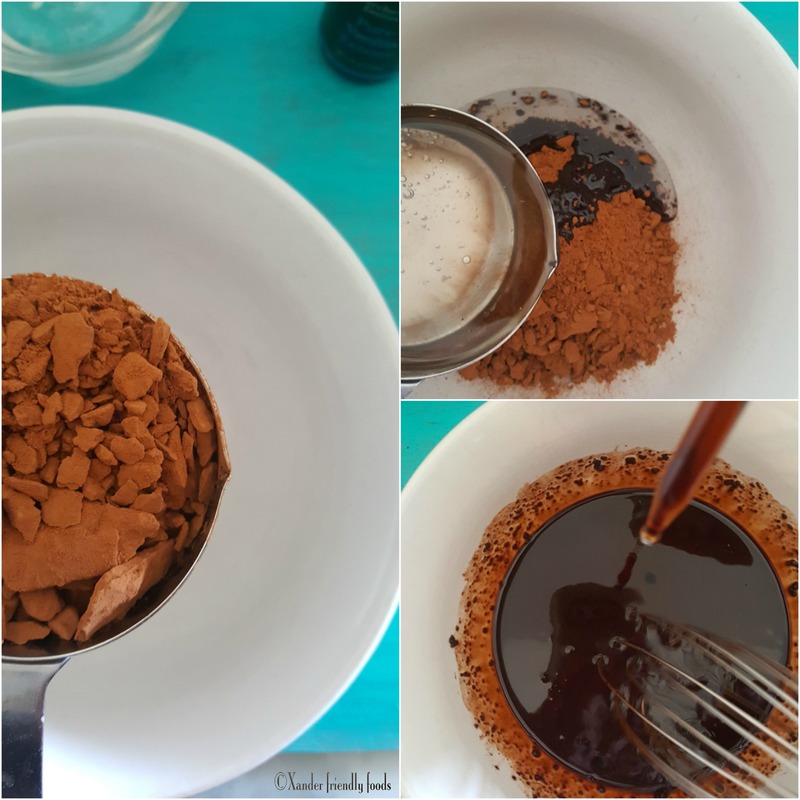 You can always do cocoa powder instead and sweeten it up a little more, but I’d encourage you to try it like this first, for a healthier version. Place your carob in a medium sized bowl and whisk in your melted coconut oil. It’ll all start to melt together. If you’re finding that there’s still some pieces of carob(cocoa) in your bowl, you can always throw it in a blender real quick to smooth it out. Typically if you sift the cocoa first, there isn’t a problem with this. Add in your Stevia and vanilla extract and whisk again. 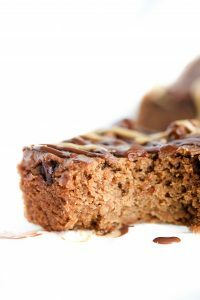 If you haven’t tried baking with Stevia before, this is an easy place to start. Stevia comes from a plant which is sometimes referred to as “candyleaf”. These leaves have been used to sweeten foods for hundreds of years in Brazil and regions close by but has recently invaded our food markets as a sugar substitute. It has no calories and is about 200 times sweeter than typical sugar. Therefore, you cannot swap it out for equal parts sugar if called in a recipe. My liquid Stevia was already flavored with English Toffee, so I actually omitted the vanilla. However, be sure to include vanilla if yours is the flavorless. 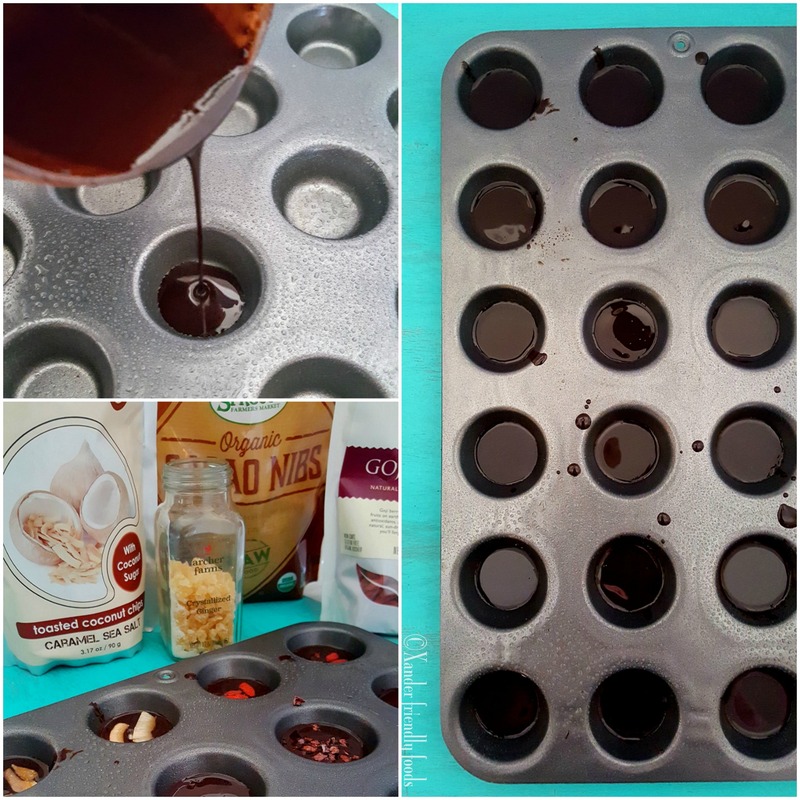 Now, you’re just pouring it into your mini muffin tins, which have been lightly sprayed with a non-stick coating. IF I had silicone mini muffin cups, I would have used those instead only because I could have omitted the coating spray but mostly because you can just “pop” out the candy, a little more easily. Be a little creative on this last step, because here is where you add your toppings. Sooooo, what do you like? There’s a lot to pick from! Refrigerate for 30 minutes then grab yourself some chocolate coins! This does actually melt in your hands, so if you prefer not to shove the whole thing in your mouth 1 at a time, or you don’t like to lick the chocolate off your fingers, go for coconut butter instead of coconut oil. It melts down just as beautifully but returns to a more solid state once refrigerated. 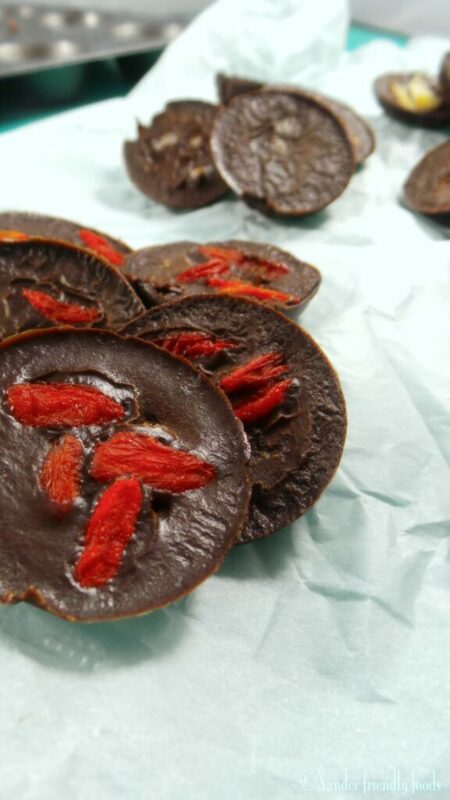 Healthy, yet blissfully delicious, homemade chocolate. A huge indulgence with a little amount of work. Add carob powder and stir until it is melted all the way through. Stir in a few drops of stevia and vanilla extract. 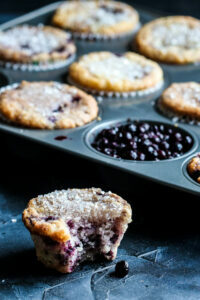 Pour into prepared mini muffin tins. Sprinkle with toppings of choice. Remove from refrigerator, pop out of tin then refrigerate again in the sealable container until ready to eat. **** I used a flavored Stevia (Toffee) so I didn’t add the vanilla this time around. ****** If you have silicone liners, those would work wonderfully and allow you to pop these out easily, without disrupting the edges. Allow your creativity to flow with these creations. The list could go on and on with toppings, so explore a little. Maybe you’d like fresh mint or lavender leaves, or love some orange or lemon zest, maybe you prefer a little heat and crushed cayenne pepper would be your favorite. You really cannot go wrong with these. Are you a chocolate fan? What add-ins would you use? 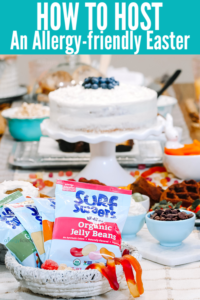 Do you eat sugar-free? If so, what do you like to use for your sweetener? We don’t eat sugar-free, but do try to make better choices instead of pure sugar for a lot of reasons. I really like using dates to sweeten smoothies, puddings and some desserts. Date sugar, brown rice syrup or turbinado sugar is what I use most in baking.